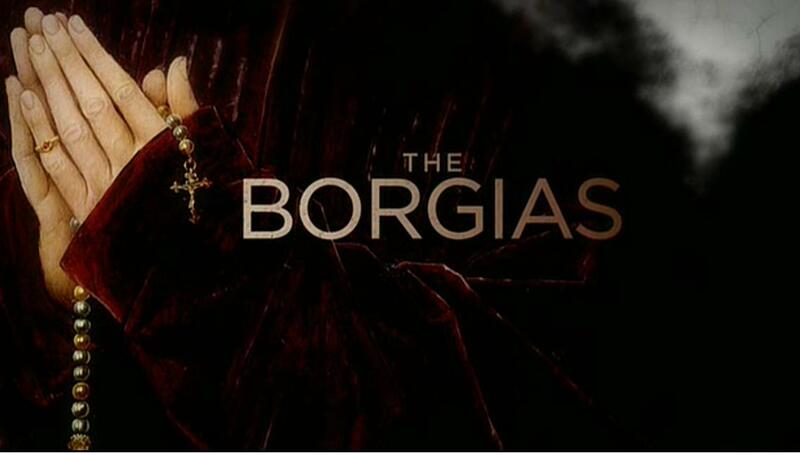 I’ve been saying since I first started watching The Borgias that I could see a better show underneath all the trappings and soap opera drama, and kept watching in the hopes that show would reveal itself. I just never expected it to happen so soon in this second season, or how satisfying it would be when it finally arrived. But it has, and you can read all about in my review of “The Beautiful Deception” over at The A.V. Club. Please read and join the comments – am I crazy to think the show’s gotten better, or do you share my newfound enthusiasm for the next seven episodes? This entry was posted in TV Criticism and tagged Cardinal della Rovere, Cesare Borgia, Charles VIII, Colm Feore, David Oakes, François Arnaud, Giovanni Sforza, Giulia Farnese, Giuliano della Rovere, Holliday Grainger, Juan Borgia, Lucrezia Borgia, Luke Pasqualiano, Neil Jordan, Paolo, Peter Sullivan, Pope Alexander VI, Prince Alfonso, Renaissance Italy, review, Rodrigo Borgia, Rome, Showtime, The A.V. Club, The Beautiful Deception, The Borgia Bull, The Borgias, Vanozza, Vatican. Bookmark the permalink.